As we head into what is historically a slower time of year for real estate purchases, we have 54 fewer homes available this year than last, keeping the pressure on buyers to compete for available inventory with no appreciable slowing in sight. 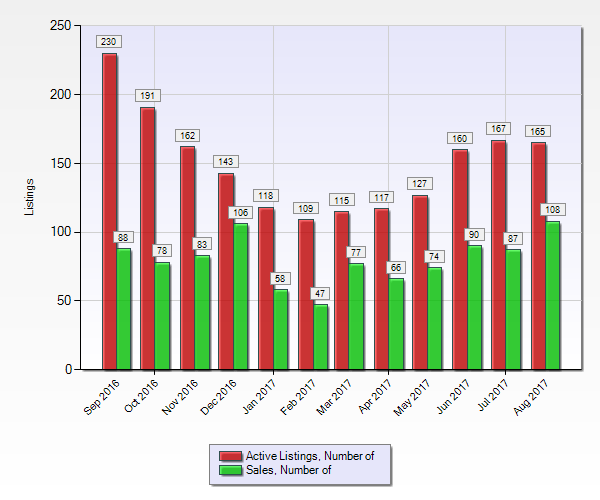 The trend in inventory shows fewer listings and more sales this year over this same time last year, narrowing the inventory gap and continuing to push prices up while giving buyers fewer homes from which to choose. 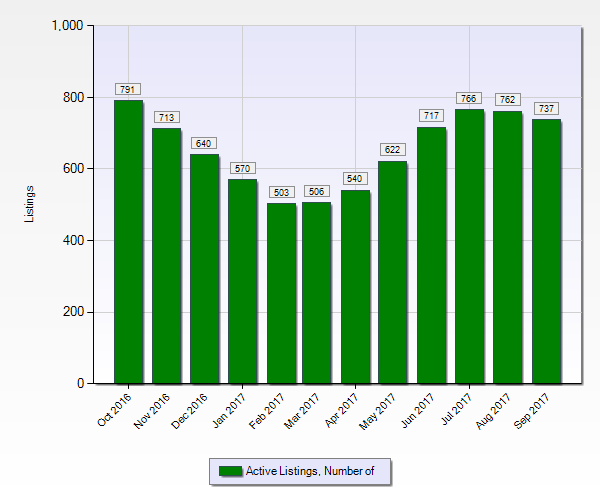 We are seeing more activity in North Kitsap across a much broader range of price points with the most active being the $150K to $500K price range. 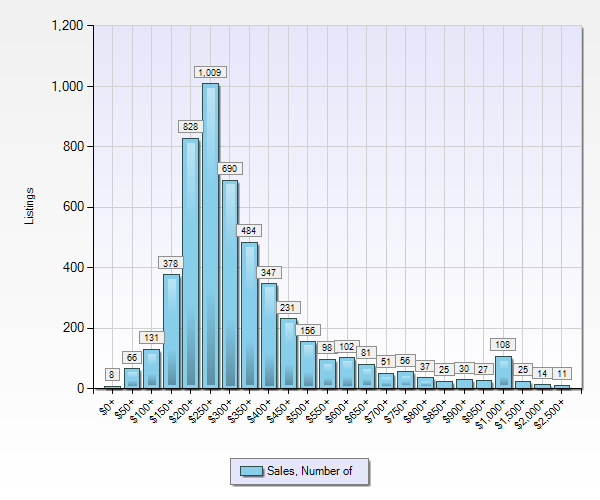 Note the number of homes in the $1million plus range that sold! 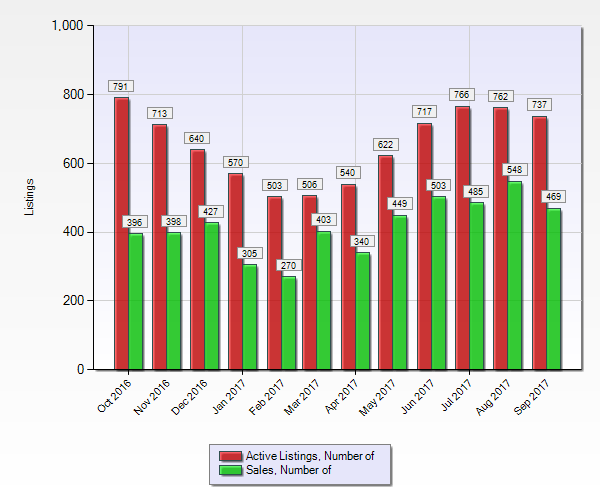 The drastic drop in inventory shown by this graph (65 less houses then the same time last year) is reflective of the fact that the market it still very active and yet inventory is not coming on fast enough to keep up with demand. 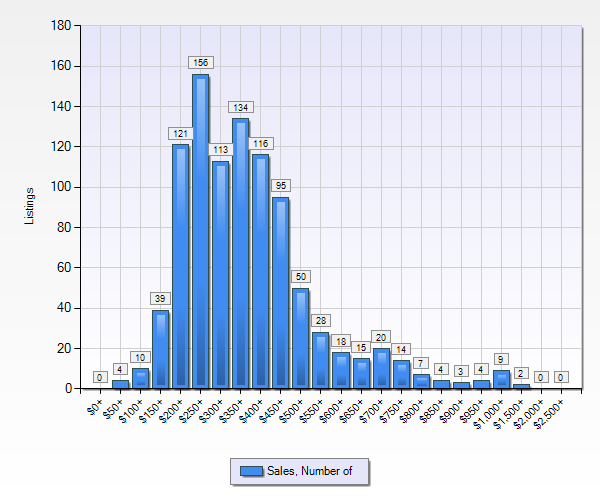 With 108 sales this past month we are up by 20 homes over the September time period of one year ago. Lack of inventory is not lessening demand. 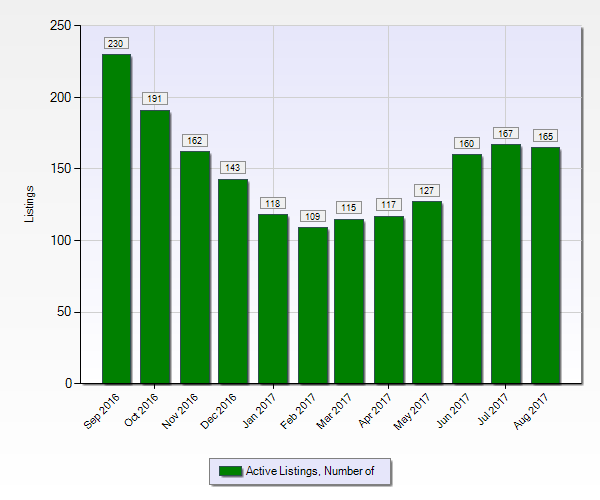 The most active price range for North Kitsap is the $200 to $400K price range, however this is the first year we have seen significant growth in many, if not all the higher price ranges.